Don't fool yourself -- the forest belongs to her, not you! You'll feel powerful in this forest warrior costume which is perfect for cosplay or trick or treating. 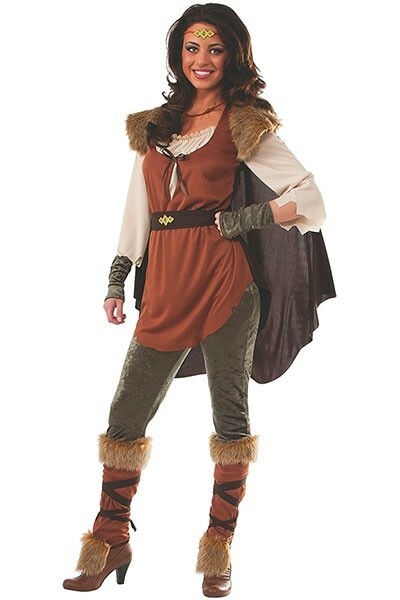 This costume set from Rubie's comes with a shirt, a cape, pants with boot tops, a belt, a headpiece, and gauntlets. Other accessories not included.